Looking for your pair of trendy eye frames and glasses? ShingNan Eyewear (興南眼鏡) is the recommended choice. It’s a English-friendly boutique, so to say the staffs are helpful and able to communicate in English language well. The interior of ShingNan Eyewear boutique is brightly lit, clean and neat. Paquette flooring gives the natural look of coziness. Lots of wall mirrors, display shelvings and cabinets showcasing endless range of designer’s eyewear. With friendly staffs who are able to speak English, the overall experience has got the comfortable easy feelings. The optical equipments are advanced. Gone are those days for an optometrist to use phoropter. Being the oldest city in Taiwan, ShinNan Eyeware adopts new technology to diagnose and prescribe your glasses. The session of eye examination is hassle-free, painless and accurately prescribe to your eyeglass requirement. Equipments are made by the well-known German manufacturer, Carl Zeiss; an optical brand you can trust. For any sight testing, have a pair of precisely matched optical glasses is second to getting pristine-clear vision from your very eyes. Design and style range from casual and chic, bold and heavy black or colorful frames to blends of edgy, unique, elegant and vogue. Naming a few branded ones, designer’s eyewear includes P+US from HongKong, THEO Eyewear from Belgium, MARKUS T and MYKITA from Germany. Shinnan Eyewear is located in the heart of Tainan City. Distant is within a stone’s throw away from NCKU, Cheng-Kung Campus. Or, walking distant of slightly more than a kilometer from Tainan Railway Station. 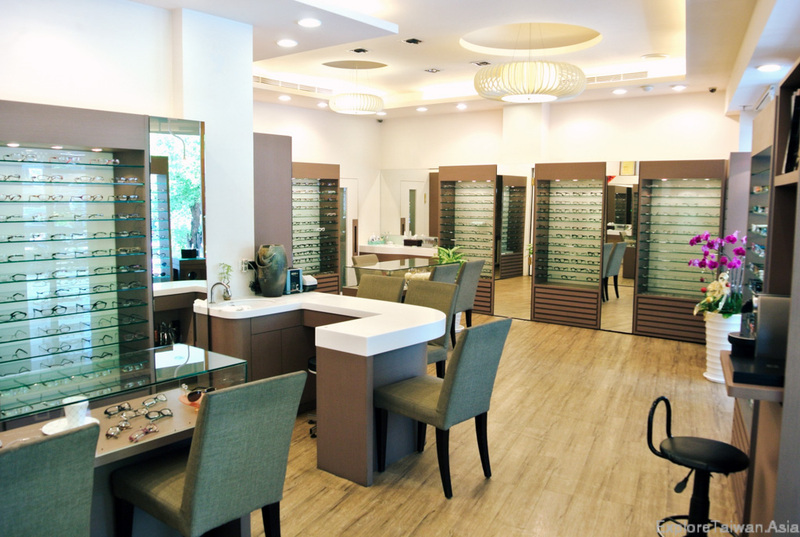 Always worth the visit at the eyewear boutique to shop for your newest pair of fashionable eyeglasses.